Bots, bots bots. They’re coming in their droves, and the customer support industry is going to take the biggest hit. That’s if the headlines are to be believed. Customer service ‘chatbots’ are being prophesied (and demonized) as the human killer in online customer support. And a lot of people are working on making it happen. Facebook founder Mark Zuckerberg recently claimed that over ten thousand developers were working on creating bots for Facebook’s Messenger app. Customer support is the key area for which these bots are being developed. Here you can see that customer support is the number one category for bot development, and the second highest for the level of sophistication to which the bots are being developed. We can already see some of these bots in action. 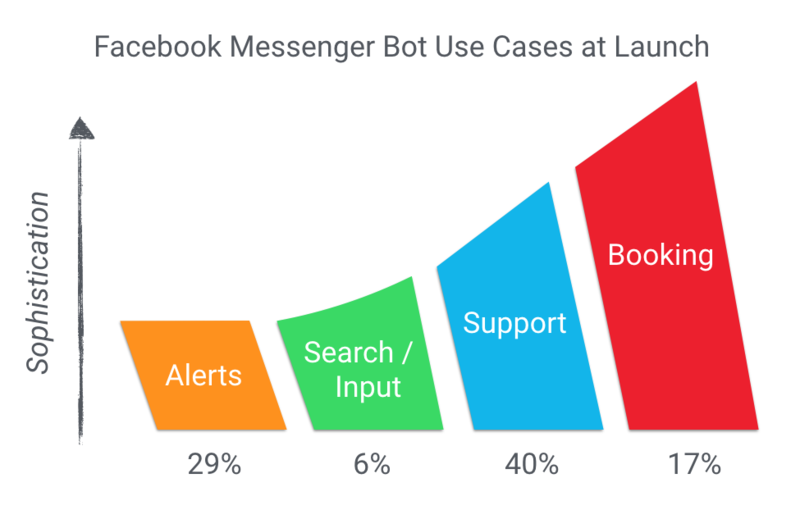 Bots are already being utilized by big retailers like makeup brand Sephora and Dutch airline KLM for initial customer service queries and sales, – albeit within existing social media apps like Messenger and Kik. The question is, how long will it be until all online sellers need to start thinking about making use of chatbots? And will they condemn your previous pre-bot customer support team to the afterlife? The answer to the first question – soon. But in terms of completely disrupting human customer support? Unlikely. Here’s what bots will (and won’t) do for customer support. Let’s face it, there are some things bots can just do better than mere mortals. Whether it’s responding to the questions of an unlimited number of customers simultaneously, or pulling relevant information from a large database and relaying this info back to the customer in seconds; bots simply outpace humans. You may be skeptical as to how happy your customers would be talking to a chatbot instead of a fellow human. 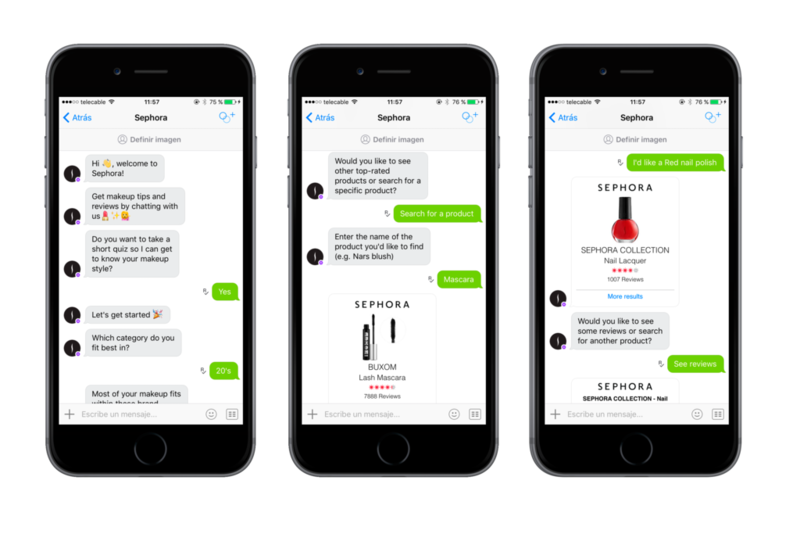 But initial experiments like Sephora’s chatbot shows they can actually be good for business. The makeup retailer said its bot on messenger app Kik has increased sales, customer engagement and followers from the app. A customer who starts a conversation with Sephora’s chatbot on average has more than ten exchanges per day. That’s a number that could compete with the number of daily texts you send your other half. 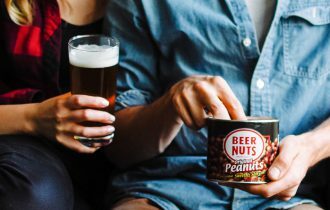 This is one example of a bot at its most effective; keeping the customer coming back for more recommendations and productive – and potentially profitable – conversations. Like humans, every bot has its limits. Those recurring FAQ-style questions are usually every chatbot’s dream. But how does it handle textspeak? Can it deal with colloquialisms? One-word answers? What if you have a slightly more specific question, like if the seller has a similar shoe in a different colour? Some of the bots of 2016 don’t like these questions so much. It’s important to remember that bots are at an early stage of development. But this means they don’t always achieve the tasks they were specifically created to carry out. 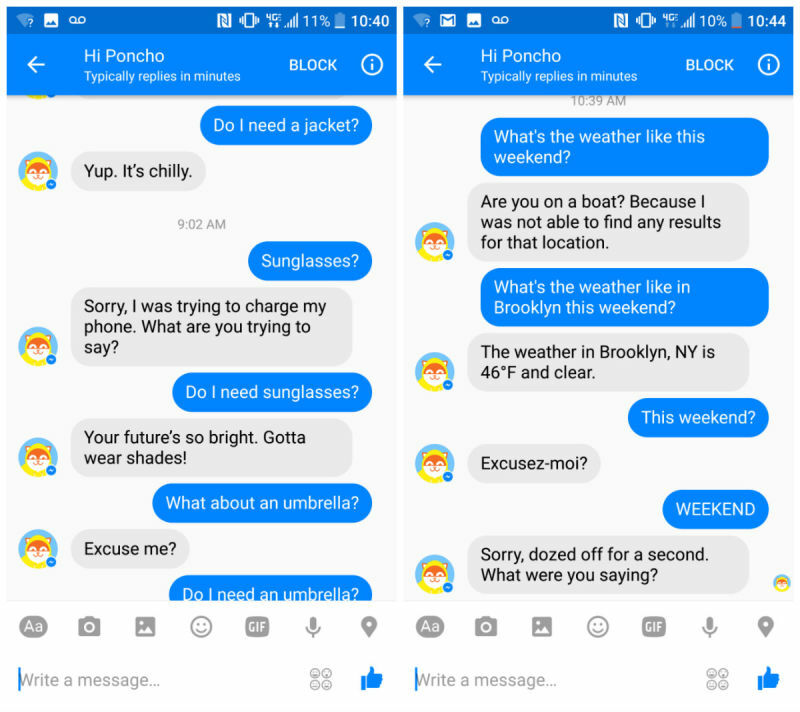 Take Poncho, the virtual cat that tells you the weather in Facebook Messenger. You’d think this would be one of the no-brainer bots. Rain, wind, sun, snow, hot, cold – everybody asks the same stuff when it comes to the weather. But instead of giving you the info you can find out via a Google search or two, Poncho has given its users intermittent downpours of frustration. Of course not all bots are born equal, but this is just one example of where a user might be less than impressed with the bot experience. Bots might eventually reduce the need for the number of customer support agents you need, but they’ll never replace them. Customer support is a cornerstone of any brand’s reputation. Would you put yours solely into the hands of a bot? After all, they can only be as good as the humans who train them. Bots clearly have a part to play in the future of customer support. They will be widely used to automate those easily answered FAQ-style questions you regularly receive, with follow-up questions that can be lightly sprinkled with alluring product pitches like the ones Sephora has successfully implemented. 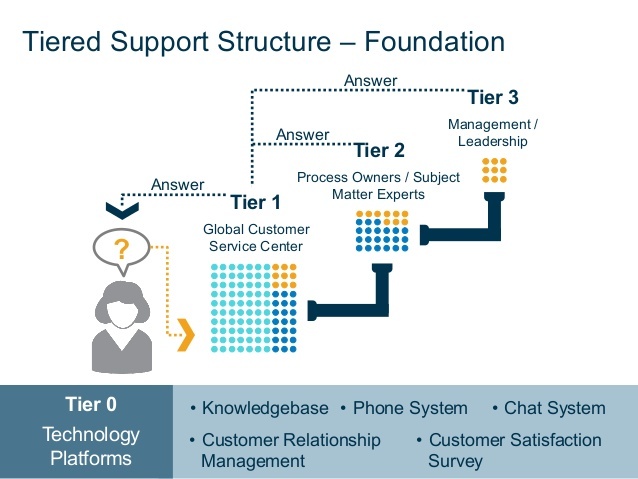 Imagine your customer support team as being separated into tiers. Tier 1 of your customer support team acts as your first port of call; filtering and answering your most common queries. Tier 2 handles the more complex queries which may require resolving an order issue with a return or refund. Tier 3 is the final stop for queries that require management-level expertise or decisions. If bots live up to their hype, they may eventually become your Tier 1 support system, with your higher level queries being escalated by your bots to the humans at the higher support tiers. In this way, bots will aid the scale of customer support in the future. They’re one innovation, but they’re not the ultimate antidote. They’ll cut out the need for humans to process the repetitive queries and other low-hanging fruit. In turn, this will free your agents’ time so they can carefully respond to more important queries that require greater attention and more empathy. The human aspect of customer support is extremely underrated. How your customer support agents treat each customer, interpret their personality and react based on their preferences is an essential part of how your company builds a strong and sustainable reputation. Of course, humans need help, and that goes for customer support teams too. But contrary to popular belief, you don’t have to reduce your communications to robotic iterations to answer large volumes of queries per week. Scaling the human touch starts with creating a customer support process that is fundamentally efficient. 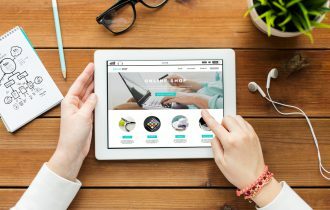 For example, many online sellers are still working with a non-streamlined customer support setup, meaning sellers are still managing their customer support queries from Amazon, eBay and their web stores all from these separate locations. This is a fundamental issue, as you’re dealing with time-consuming processes before you even handle one support ticket. Based on xSellco data, streamlining your multichannel customer support into one central inbox can cut an online seller’s response times by 46% – on average. respond to multiple languages in seconds. see customer support in full view with with team performance analytics. To scale an online sales business, a tool like Fusion is essential. The more channels you sell on, the more your business grows. 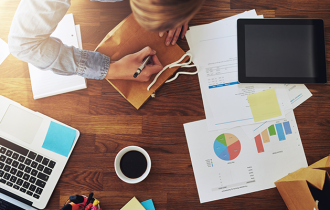 The more your business grows, the more you need support tools. Bots are just one new piece of a much larger puzzle. When the repetitive stuff becomes automated, customer support will become a level playing field. You’ll need to differentiate yourself from your competitors. Successfully scaling the human touch will be how you make your business stand out from the crowd. And you’ll need humans to do it.